Make thin hair and eyebrows appear thick and full with two of Joan Rivers' most popular beauty products, now available for the first time in one handy purse-size compact. 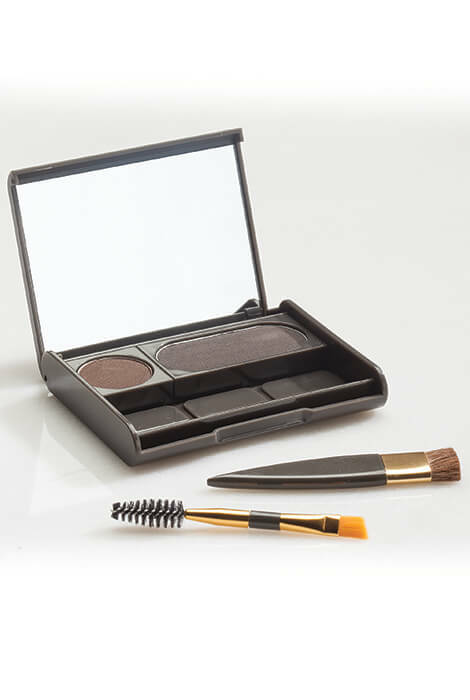 The Joan Rivers Beauty® On-the-Go Compact is perfect for touch-ups to thicken the appearance of hair and eyebrows at home or on the go. 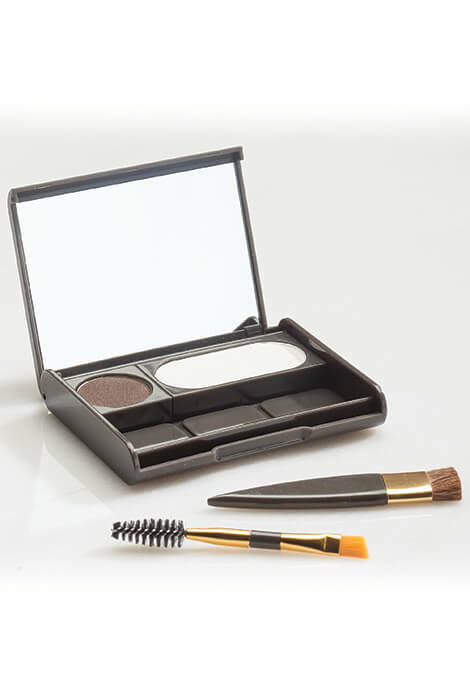 Includes a 60-day supply of each, plus two custom-made brushes and a mirror for easy application. Purse-size compact includes two products: Joan Rivers Great Hair Day and Great Brow Day. To use Great Hair Day, create a part in the hair using the pointy end of the brush. Dab the brush in the powder. Apply along the scalp from back to front. Stop about 1/4" before the hairline and use the brush to really bend it in. Washes out with shampoo. 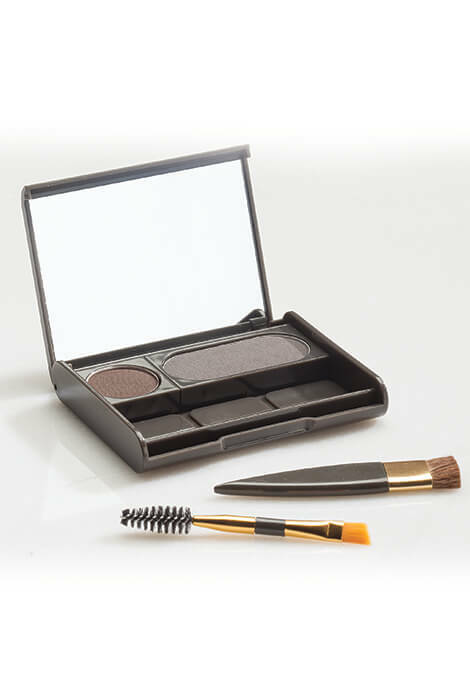 To use Great Brow Day, separate brow hairs with the spiral end of the brush. 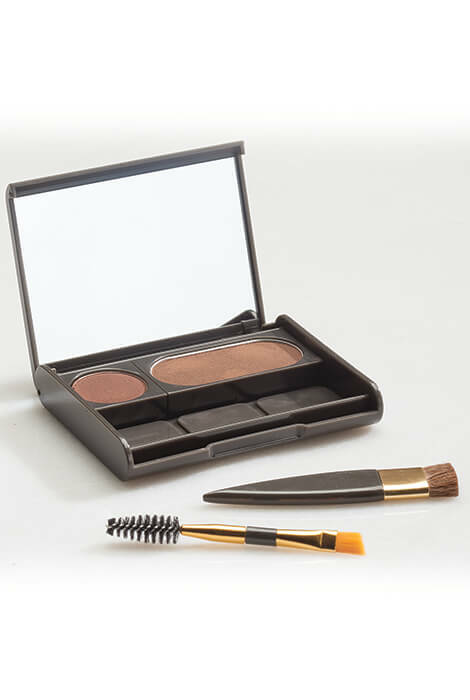 Dab the angled brush in powder and sweep over the brow, working from the inside to the outer edge of the brow. Washes out with soap or makeup remover. Contains 0.14 oz. hair powder, 0.05 oz. brow powder. Need to fill in brows.